With a nearly perfect viewing angle of 178 degrees and big size range ( 100 "-150"), our T Prism ALR screen is capable of being viewed from extreme off axis positions even during day time with ambient light. 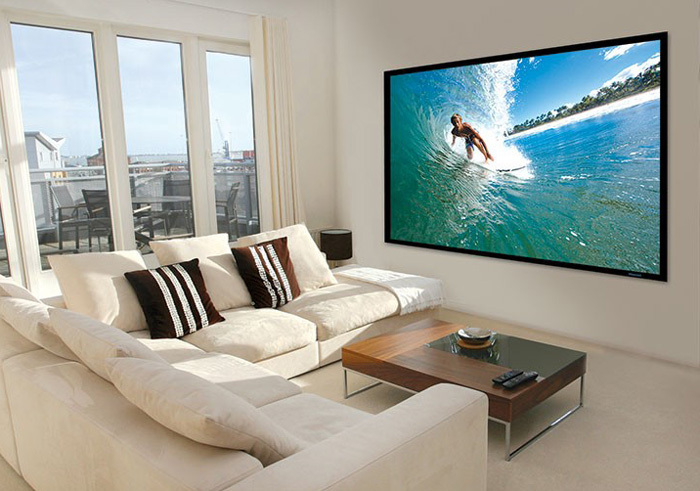 Customers can enjoy dynamic, colorful media without losing valuable wall space by its rollable design. 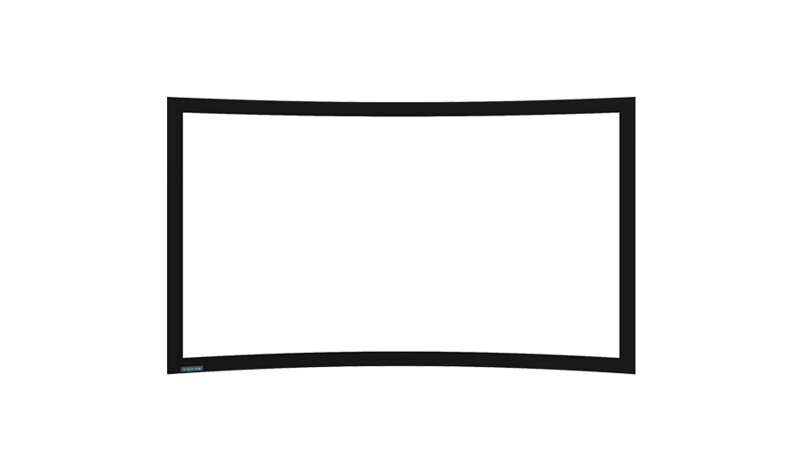 These kind of products are filling each part of our life, we’ll need it when work, Enjoy the visual feast at private or public cinema; kids can learn in a different way during class for education, besides, we’ll see it during most of the business or outdoor stage, hotel and bar having it for video playing or live program like basketball / football / NSR etc. 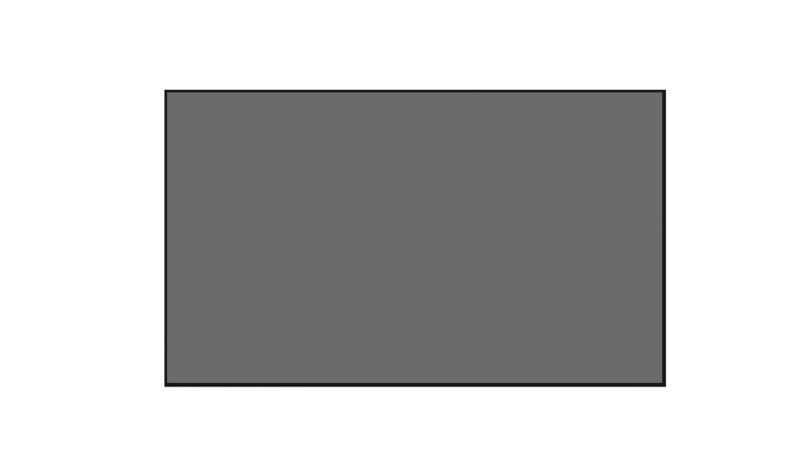 AS for different demands, there are many different options. 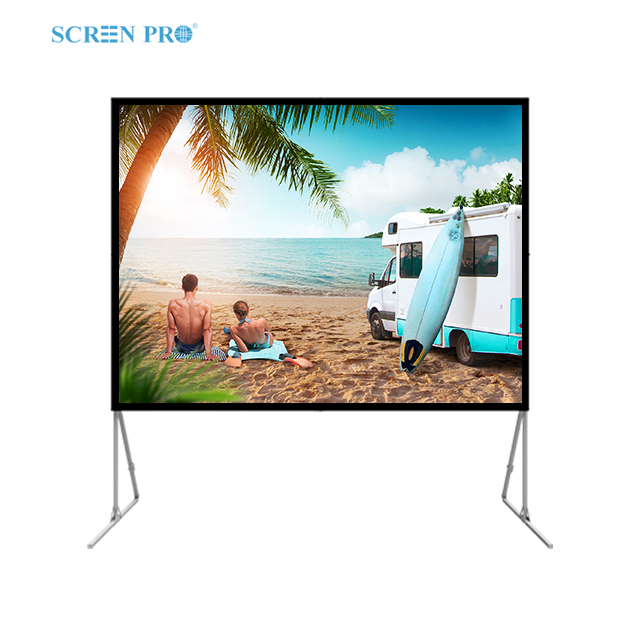 Fix screen for home or outside theatre; Motorized screen for meetings, education or limited space place; Quick-fold screen for portable carry around option like outdoor demands; Manual screen for economic choice and there are also many accessories you’ll need. 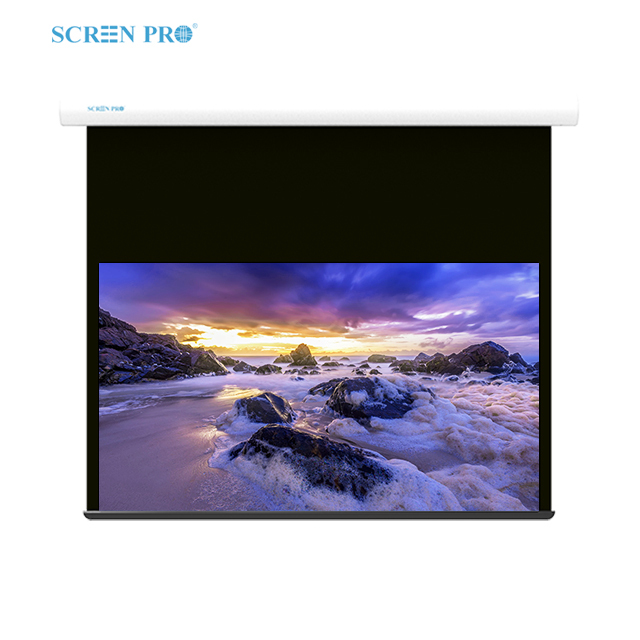 Sams AV-Tech Screen Pro has been on the market for over 10 years. 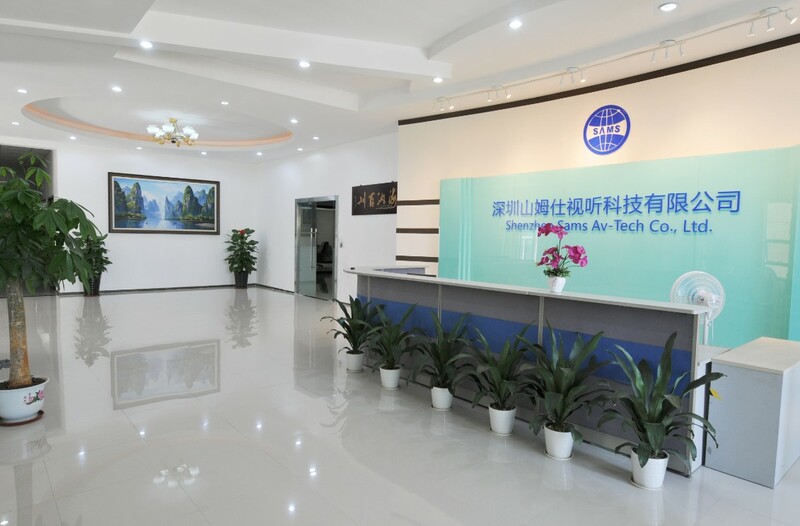 Join the international market since 2004. 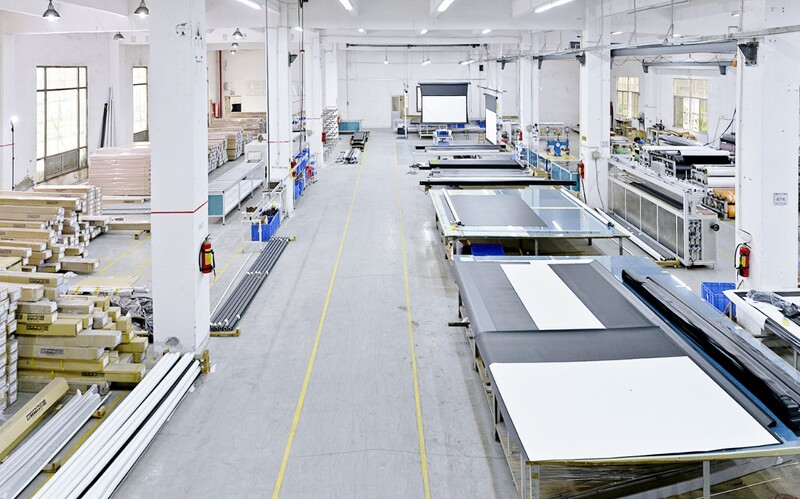 With the business growing up and higher-end equipment demands, we increase investment in production facilities, owing 5000sqm of factory and warehouse, more than 1000sqm of offices and showroom. 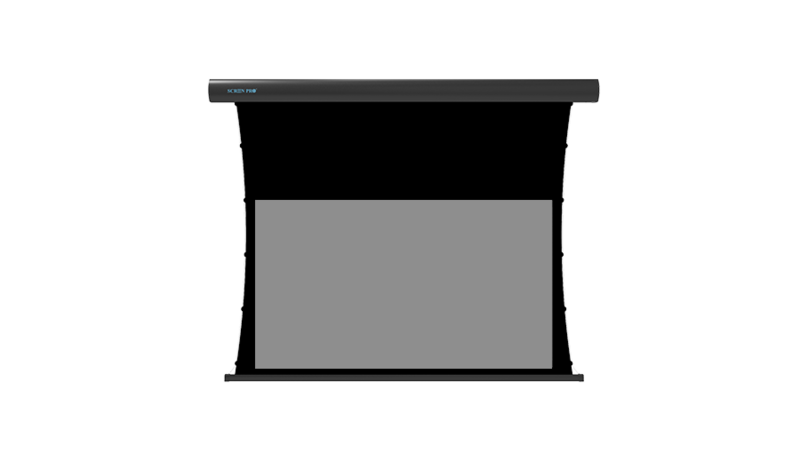 Our wide range of products, from motorized to fixed screen, quick-fold and manual screen in various configurations, to projection surface solutions applications, constitutes an offer to prove quality with constantly update technological features. 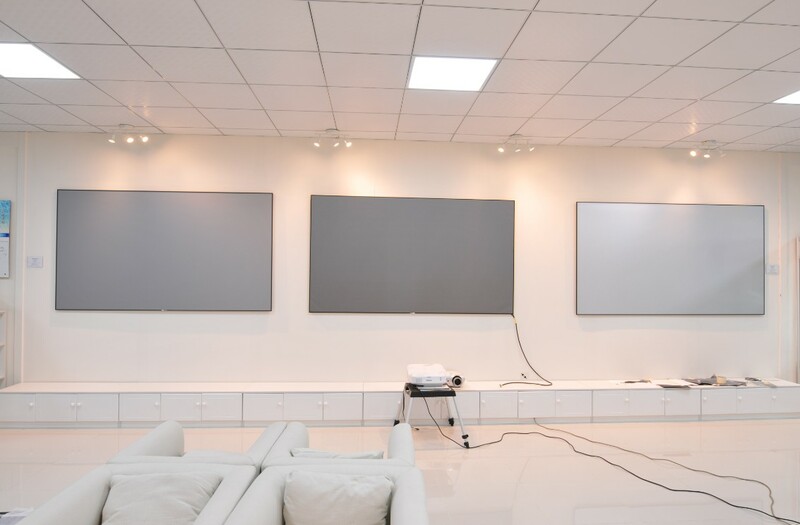 Our products are suited to both the professional and residential market. 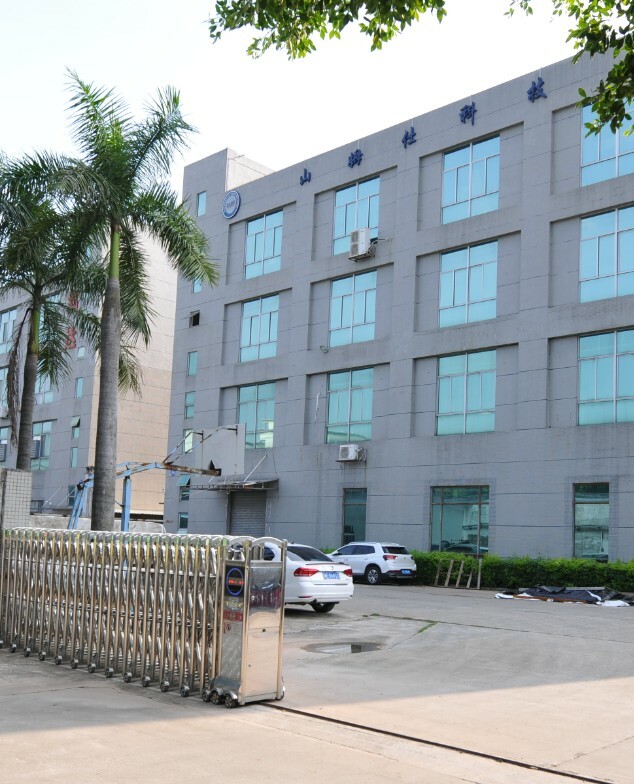 All of the products are with CE, RoHS, ISO certification approved. 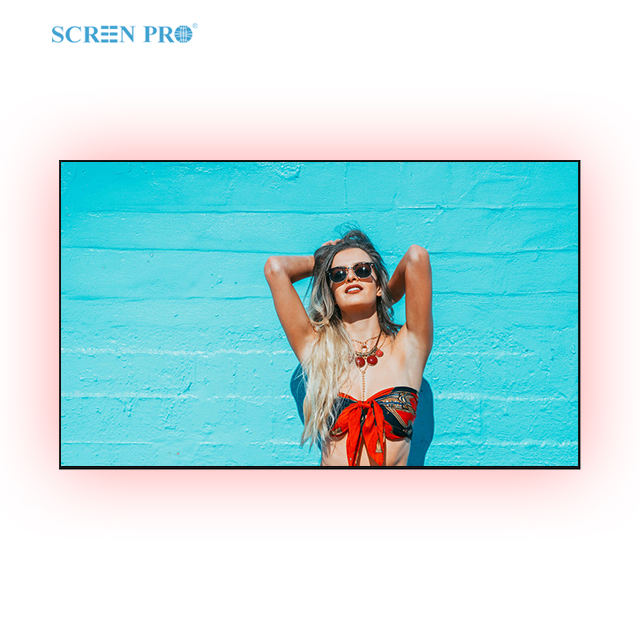 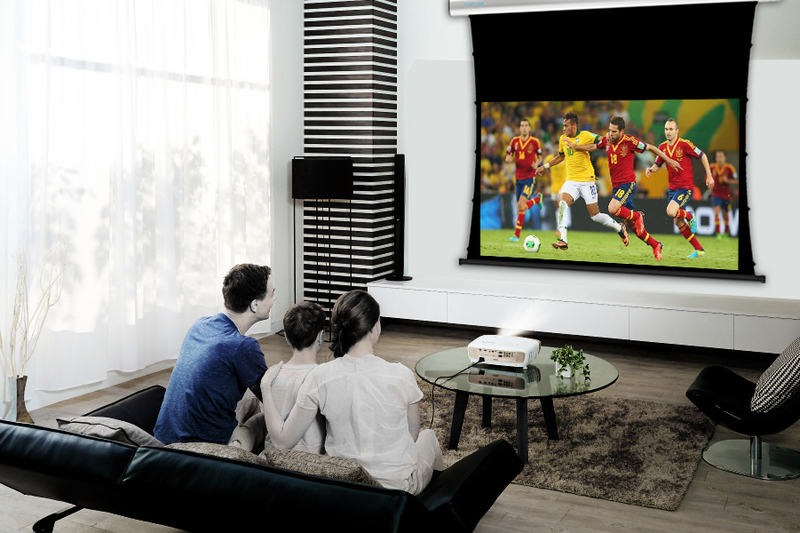 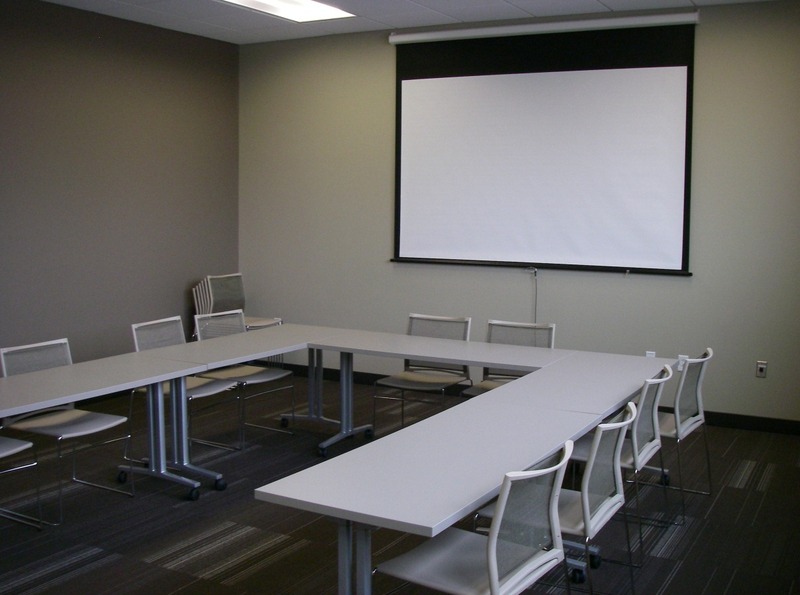 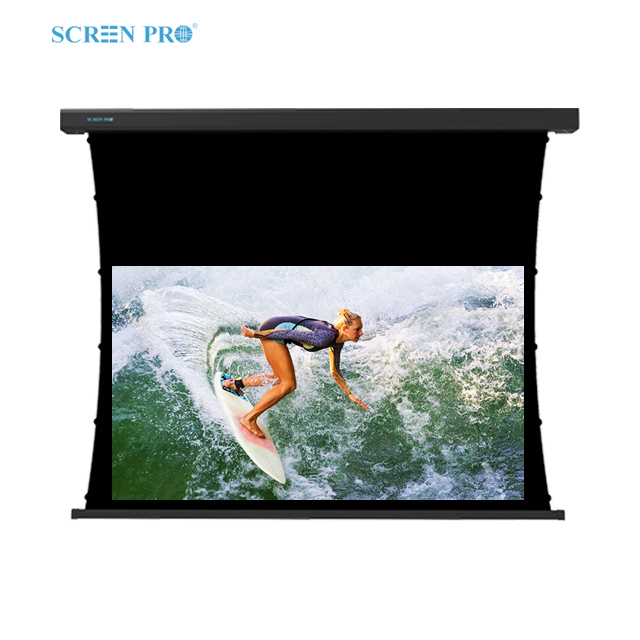 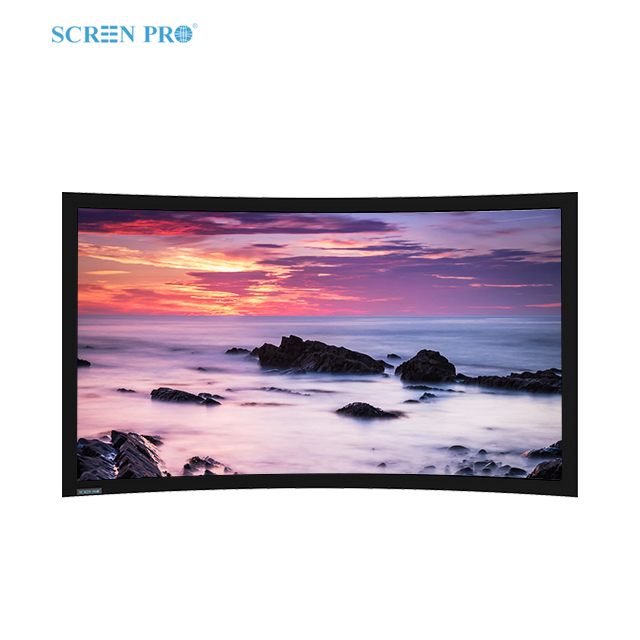 With these comprehensive range of professional applications for commercial, public entertainment, education and home theater for use, Sams Screen Pro sets itself as one of the leading manufacturers of projection screens on the international market including North America, Europe, Asia, Middle East, etc.